Enhance your Magento auto parts store web site with these full featured and powerful extensions to easily search parts by vehicle using Year, Make, Model, Sub Model, Engine, Trim, etc. 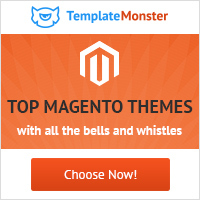 These magento plugins are used by over 2000 clients world wide. Usually Auto parts web shop catalog has thousands parts/products to choose from, but catalog runs into so many pages. It is cumbersome for the customers to browse and find the Auto part or product that fits their Vehicle. Magento search filter plugin enables customers to find their product quickly. This Magento search filter extension also allows customers to drill down and narrow their search easily. Merchant will be able to setup vehicle data (Make, Model, Year, engine, etc) easily using bulk import method. Managing this data is easy. Get started and become our client today!